Are you Big 10 or maybe SEC? What ever conference your favorite college football team plays for, Pandora style charms are a perfect way to cheer them on. Choose your team on the right and see what charms are available. There are generally charms for any budget. 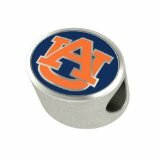 Sterling silver charms with your University logo or team name that dangle or are barrel shaped. Most of the beads and charms available here fit Pandora, Zable , Charmed Memories, Biagi and many others. 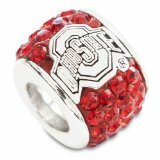 If you like bling bling gems on your charms or your team colors they are all here. You can create an entire bracelet dedicated to your team with the colors and the logo charms or you can get the one that catches your eye. Either way, these charms are the new swag to support your team. If you don't have a Pandora style bracelet this may be the best reason to get one. They come in a rubber style with sterling clasps and a full sterling silver style. 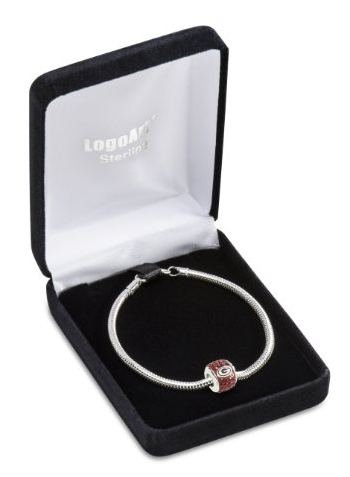 A great starter bracelet comes with a charm with your favorite football team. So if you are looking for a charm or bracelet for yourself or if you are shopping for a gift, University Pandora charms are a great idea. Thanks for checking out the sight, there are Facebook, Pinterest and Google+ icons at the top of each teams page. Be sure to click for your team.